A shocking one third of owners are not safeguarding their pets by having them microchipped, and worryingly 21% of pet owners have had a cat or dog stolen. The independent survey carried out by Animal Friends also found that 14% of pet owners who have had a pet stolen or go missing never got their pet back. Official police data shows the equivalent of at least three cats and dogs were stolen each day last year, according to the organisation Vets Get Scanning. With such high pet theft figures, and since microchips are intended to help reunite a lost pet with its owner, micro-chipping should be an important aspect of owning a pet. However, this new study reveals that for almost one in six owners this is far from the case: 15% chose ‘I haven’t thought about it’ as the reason behind not micro-chipping their pet, making this the most popular reason given, and demonstrating a lack of public awareness of the identification method. The animal insurance provider’s research found that one in ten people (10%) chose ‘my pet never leaves my side or somewhere safe like a house’ as their main reason for not getting their pet micro-chipped. However, recent statistics released by Vets Get Scanning found that 52% of pets are in fact stolen from their own gardens, while 19% are taken from people’s homes in a house burglary. 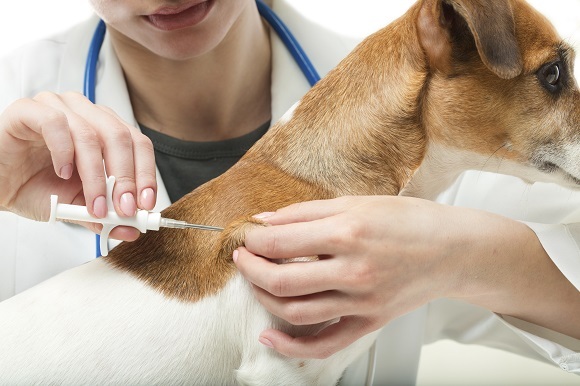 Awareness of micro-chipping may not be enough to secure a safe return should your pet go missing, though: Animal Friends’ study also addressed an issue concerning vets not making use of the microchips pets are carrying. Currently, vets do not routinely scan animals brought in to them – something that the majority of people questioned view as wrong: 72% of those surveyed think that all animals admitted to a vet’s care should have their microchips checked. Just 21% believe the vet should need a reason, saying this should only be done if the vet is suspicious that the pet may be stolen. From April 2016, it will be mandatory for all dogs to be micro-chipped, and Vets Get Scanning notes that the British Veterinary Association (BVA) has now stated: “We support scanning new patients as best practice”, indicating that micro-chipping pets is the future, and that it should become increasingly effective as scanning becomes routine. Debbie Matthews, daughter of presenter and entertainer Sir Bryce Forsyth, is one high-profile believer that vets should routinely scan pets admitted to their care. After her Yorkshire Terriers, Gizmo and Widget, were stolen from her car, Debbie was horrified to hear that vets don’t scan pets for microchips – meaning that the identification devices in her dogs wouldn’t necessarily help her find them. In fact, it was only through the media attention the case attracted that Debbie was reunited with her pets. Debbie is now an active campaigner of the Vets Get Scanning petition to get vets to adopt a practice policy where all dogs that come into their practice are routinely scanned for microchips on their first visit. Debbie told Animal Friends: “Each vet practice sets their own practice policy, which means although BVA (British Veterinary Association) now states it is ‘best practice’ to scan new registering pets, they don’t all have to. We started the campaign after we found out that when a stolen dog is sold on to an unsuspecting new owner, no scan would be done on registering a new pet accompanied by an owner. Microchips only reunite pet and owner if a pet is scanned. Owners of microchipped pets assume that this is already happening but it appears they are wrong. You only find out who is and who is not scanning when your pet goes missing or is stolen. Further stats are available at Animal Friends. There is a lot of interesting facts and numbers so visit their site and have a read. And please share it with your family and friends. *This post is an official press release. Interesting post. My cats ar eindoor cats, and I don’t think they have been micro-chipped (my husband cares for them more than I do). All microchipped for ours even tho they are indoor kitties only. But you never know!!! You are right… you never know. My dog has a chip and I just assumed that vets scanned animals new to their practice. If pets aren’t being scanned then what’s the point of owners paying to have them chipped? Thank you for highlighting this issue. I hope this practice will change sometime in the future. My cat and dog were both chipped when they had their first jabs. It was important to us that it was done. I am surprised that vets don’t scan all pets as a matter of routine. It really should be part of any vet visit. Great post. My mum has microchipped her cat. She had to wait until her cat had some teeth taken out because the vet said they had to do it under general anesthetic. Surely there’s a quicker or easier way to do it? My cat’s all chipped up just in case! Very interesting post. It’s mandatory here (think since 2012 or 2013, not sure) but nevertheless there are too much people who say it’s too much effort or it’s too expensive. I can’t understand that. The vet’s offer “low price chipping” to a really moderate price and in every vet office they have giant posters to inform the pet owners . I wish I could translate your post and I could put it in the mail boxes of some people here…. This is why I would love the law which require a license to be a pet owner… you know like they regulated guns in US… only the fit person should be allow to care for a pet. There is so many irresponsible pet owners who just simply don’t care!